QAD’s Enterprise Edition (EE) has been available to customers for over 7 years now. 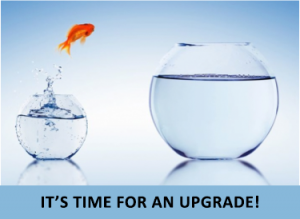 Despite the fact that QAD announced 2 years ago that it’s Standard Edition is at its end of life as of version 2014 and will no longer be enhanced, there are several other good business reasons to upgrade from SE to EE. Here is our top 5 list. 1) Item/Lot Attributes functionality allow you to manage inventory balances at the item and lot level by extended characteristics such as revision level, potency, clarity, expiration date, manufacturing date, country of origin or just about any other attribute important to your business. 2) HTML5 User Interface is QAD’s new web UI that is a fast, accurate and intuitive. The UI is device independent meaning users can access QAD with their IOS or Android device or an Apple Mac. Current functionality available in early adopters includes sales orders, sales quotes, requisitions and approvals. Convenient browses, user-friendly dashboards and the activity feed help your valuable resources maximize their productivity. 3) QAD Quality Management System (QMS) helps you track quality issues, establish trends and track resolution. CAPA, NCMR, Document Control and Training Record Management are some of the QAD QMS modules available to customers. QAD QMS and ERP are integrated to help you achieve an effective enterprise. 4) QAD Automated Solutions (QAS) help you reduce material handling errors, manage changing events and priorities with paperless tools, transact a pallet load of material with one scan, and perform on demand and event driven label printing integrated with QAD. 5) Enhanced Financials provide world class financials to help you compete in the global marketplace. Leverage the new Financial Report Writer (FRW), extensive use of Daybooks and automatic reconciliation between AR, AP and GL. Use the convenient bi-directional Microsoft Excel integration for journal entries as well as for account setup. The multi-stage period closing process includes period arks, closing validations and reporting, separate period for year-end corrections. Strategic Information Group has assisted over a 100 companies implement and upgrade to EE over the past few years. Second Sight Medical is a great example of one customer who is reaping the benefits of making the jump to EE from SE. A customer of QAD and Strategic since 2007, Second Sight Medical came to their upgrade decision crossroads in 2014. After learning about EE at user group meetings and a pre-upgrade assessment from Strategic that identified the specific benefits and costs of upgrading to EE, Second Sight Medical executed a very successful upgrade to EE in 2015 in just 6 weeks. You can hear about the details of this upgrade on Wednesday at QAD Explore 2016 at Walter Little’s 2:45pm session.